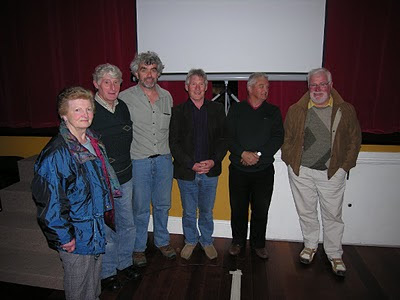 The final lecture of the current season was held on Wednesday 21st April. The talk, with the title Secrets Of The Deep, was given by Jimmy Lenehan. Jimmy who is an underwater archaeologist, gave a fascinating presentation on some of the sites that he has worked on. These included the excavation of a medieval bridge in Kilkenny, the survey of a possible slave trader (circa 1701) off the coast of Cork, an Armada shipwreck in Donegal and the excavation of a medieval boat in Drogheda.